Lunar samples originally belonged to Nina Ivanovna Koroleva, widow of the former Soviet space program director. Three stones taken from the Moon in 1970 by a Soviet space mission were sold on Thursday in New York for $ 855,000. Sotheby's auction house said the "moon rocks" are the only known documented lunar masses in private hands. They were offered for sale by an unidentified private American collector who had bought them at auction in 1993 for $ 442,500. Sotheby & # 39; s said that the buyer was another private American collector on Thursday, but the name had not been disclosed. x 1 mm) could yield up to one million dollars. 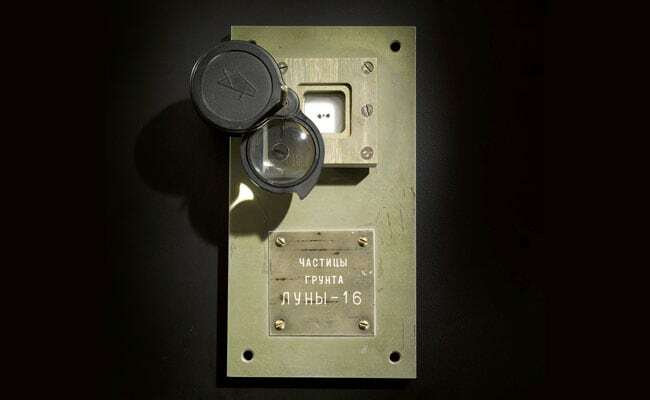 The Moon Samples originally belonged to Nina Ivanovna Koroleva, the widow of former Soviet Space Program Director Sergei Pavlovich Korolev. They were presented to her on behalf of the Soviet Union as a gift to honor her husband's contributions to the program, Sotheby's said. Most other known samples taken by the Moon remained with the two entities they had collected: the United States of America missions from Apollo 11-17 and the Soviet Union over the unmanned Luna-16, Luna 20 and Luna 24 missions.